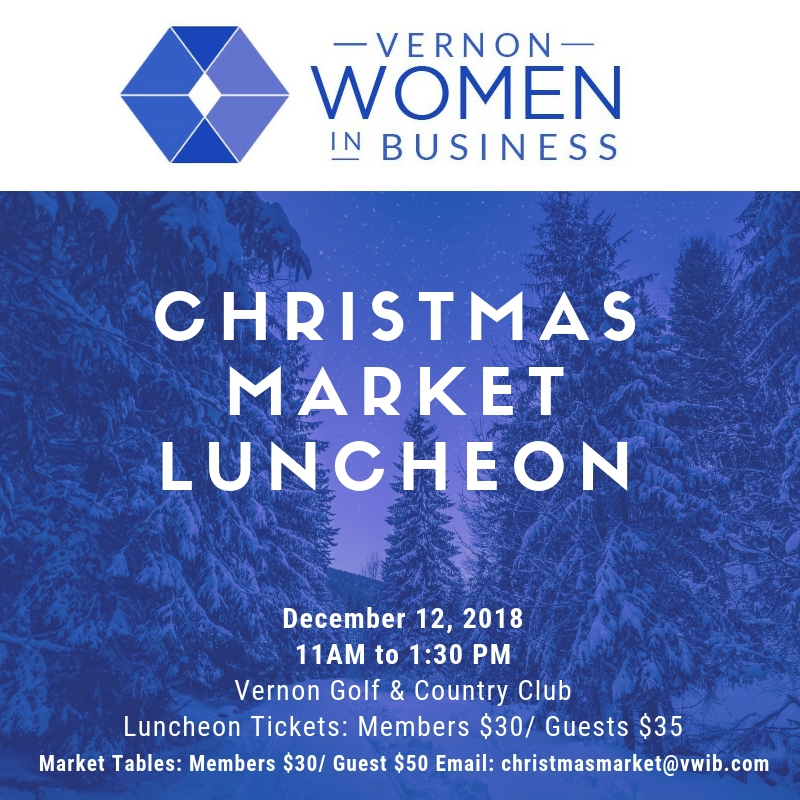 Celebrate the festive season at The Vernon Women in Business Christmas Market Luncheon! 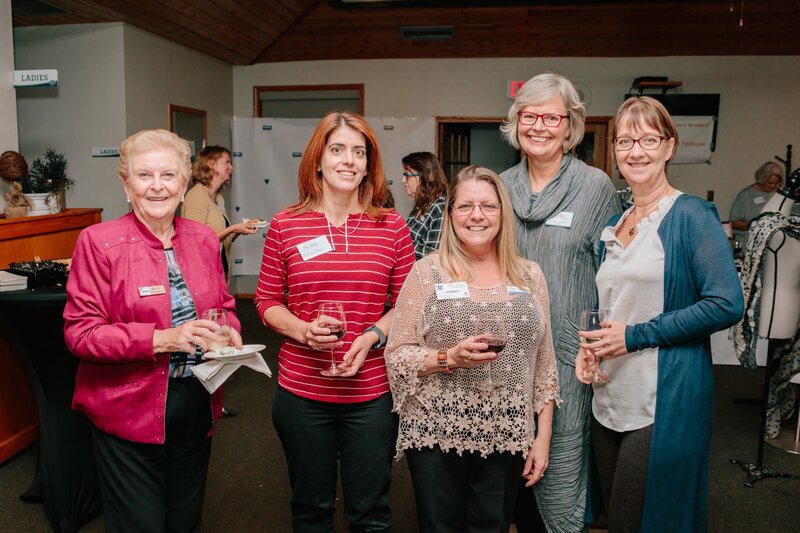 This popular annual events features a chance to win fabulous door prizes, shopping from local market vendors, and a delicious Christmas lunch catered by the Vernon Golf and Country Club. Get your tickets and book a vendor table before space fills up! See the Events Calendar page for Christmas Luncheon tickets and Vendor Table Registration.